Facts about Refugee Olympic Team tell the readers about the independent Olympic participants due to the worldwide refugee crisis. The refugee Olympic team participated in the Olympic Games held in Rio de Janeiro, Brazil in 2016. 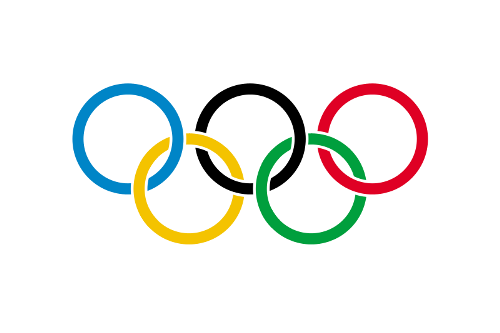 There would be five out of 10 refugees selected by the International Olympic Committee in March 2016 to compete for the summer 2016 Olympics. At first, the team was called as Team of Refugee Olympic Athletes. They compete under the Olympic Flag. ROA is the country code of IOC. Then it uses code ROT for the updated version. Why don’t you check the details about refugee Olympic team below? Ibrahim Al-Hussein had the honor to carry the Olympic flame during 2016 torch relay. Now he settled in Athens, Greece. He was a refugee from Syria selected by the Refugee Agency from United Nations as an effort to promote solidarity on the refugees in the world. Kuwait Olympic Committee as the national Olympic Committee was suspended. That is why; the athletes competed under the title of Independent Olympic Athletes and Olympic Flag. There were 43 potential candidates identified by the IOC for the Olympic team. The factors such as the verified refugee status, personal circumstances, and sporting ability will define whether they are suitable or not to participate in the game. IOC prepared US$2 million for training the athletes. The displaced athletes will be identified by the NOCs or National Olympic Committees. Yusra Mardini was a Syrian swimmer. She was 17 years old. She was as a potential competitor for Rio Olympics. Yusra Mardini lives in Germany. She was a refugee from Syria who used an inflatable boat from Turkey to Greece. Then she crossed the Balkans, Hungary and Austria to reach Germany. Another refugee athlete was trained in Belgium. Raheleh Asemani is an Iranian taekwondo. Another refugee team member is judoka Popole Misenga. Now he lives in Brazil. He is from Democratic Republic of Congo. IOC Olympic Solidarity scholarships were given to two athletes. They are Asemani and Mardini. The Belgium citizenship is awarded for Asemani. The triathlete Mohamad Masoo, cyclist Nazir Jaser and cyclist Ahmad Badr Waid are the additional candidates for the Olympic Refugee Team. Do you have any comment on facts about refugee Olympic Team? Share the post "10 Facts about Refugee Olympic Team"